Selected Villas for rent near White Water Rafting (Sri Lanka) - Contact us now! If you are an adrenaline junkie, an exhilarating white water rafting excursion in Kitulgala is sure to float your boat! 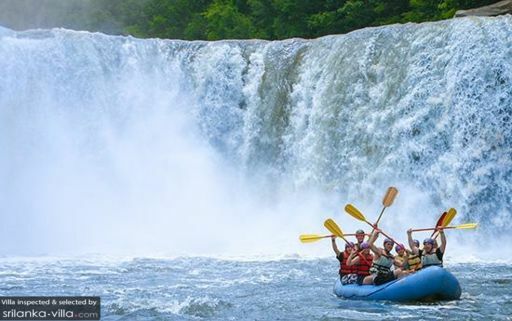 Hold on tight as you cruise along rugged waters down the Kelani River, and enjoy the thrill of covering five major rapids and four minor rapids during the course. Rest assured that you will be left in the hands of experienced guides who deftly navigate the boat through the river.